The South Koreans have let it all hang out, Ha! 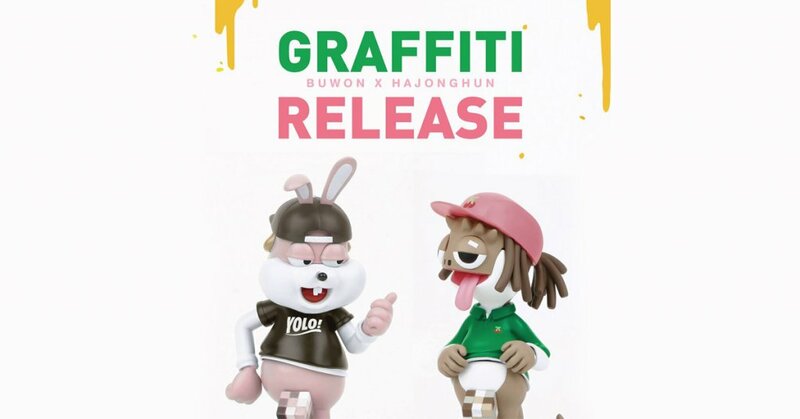 Buwon joins Hajonghun to present to you the tongue n cheek resin figure release “GRAFFITI”. over the past couple of years Hajonghun aka Hazard and Buwon have shown us the golden standard of resin figures with finishes that look like a vinyl production and these GRAFFITI figures look like another quality release with fun intended. Find Buwon on Instagram and Jong via Instagram and Facebook.